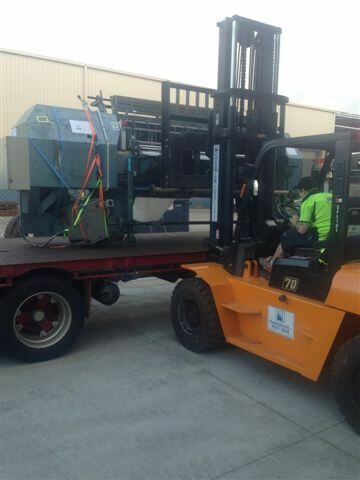 Do you require the services of an experienced and qualified factory and warehouse relocation company? With decades of experience behind us, we can manage your end to end move. At Transcorp Removals & Storage, we specialise in warehouse and factory relocation services. With over 30 years of experience, our array of highly dedicated and experienced professionals can be trusted to assist with moving warehouse and factory sites with minimal stress and hassle. Using the latest equipment and appropriately equipped vehicles, our warehouse and factory movers can accommodate any size warehouse and factory relocation project. We can additionally handle disposal and recycling requests for old or unwanted furniture and equipment, helping to simplify your move. Why Choose Our Warehouse & Factory Movers? When it comes to moving warehouse and factory sites, it’s essential to choose warehouse and factory movers who understand the importance of minimising downtime. At Transcorp Removals & Storage, we aim to provide factory relocation services that are completed within your desired time frame and take all your needs into account. Want to learn more? Our friendly team are happy to discuss your needs, answer any questions you may have and provide you with more information on our end to end removal services. To enquire about our warehouse and factory relocation services, lick here.